Lot 1 A rare opportunity to purchase a beautiful for bedroom Victorian property situated in an elevated location with enviable views across the High Weald of Outstanding Natural Beauty. The property benefits from a range of farm buildings and stables and sits within approximately 36.81 acres of land. Eridge railway station is approx. 2.5 miles to the north west providing a mainline service to London. THE FARMLAND: The farmland is all laid to pasture and has been used to support a rare breed pedigree beef, lamb and organic egg laying enterprise and extends to approximately 36.81 acres (14.90 hectares). The fields are divided by fence and hedge boundaries and the land is classified as Grades 3 and 4 on the Agricultural Land Classification Map. Please note that a further 27.12 acres (10.97 hectares) are available on the east side of Blackdon Hill as a separate Lot (Lot 2). 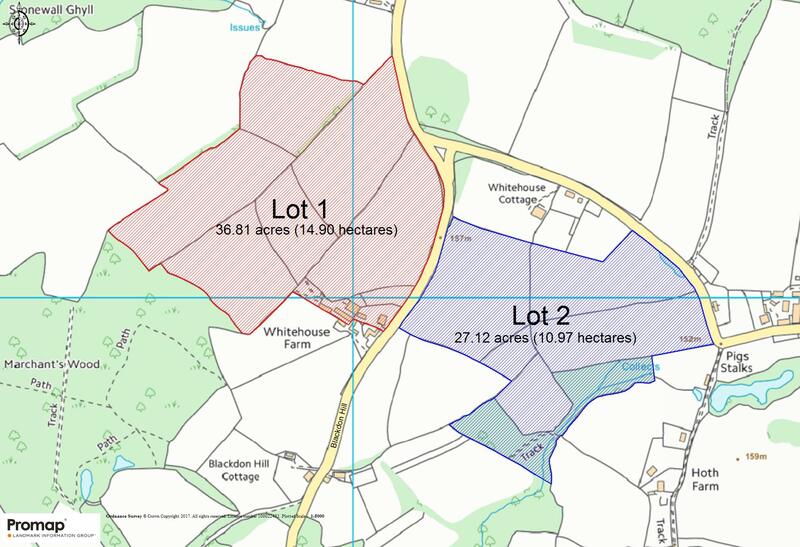 ACCESS: Lot 1 is accessed through the main farm entrance on the west side of Blackdon Hill. BASIC PAYMENT SCHEME: The land is registered with the Rural Payments Agency and a claim has been made under the 2018 Basic Payment Scheme. All payments for 2018 will be retained by the vendors and the purchaser will agree to comply with the Cross Compliance requirements of the scheme until the end of the current scheme year. Appropriate entitlements will be transferred as part of the agreed sale price on completion subject to each purchaser contributing £250 plus VAT to the cost of the transfer.